Knowing how to find and where to find water sources is one of the most crucial wilderness survival skills. Failure to find water has massive and compounding effects on both your physical and mental health. In fact, your body is in a constant state of losing water, regardless of the outside temperature. If you find yourself in a survival situation, finding water must be one of your top priorities. We’ve compiled a list of the 7 easiest and best places to find water. Looking for these sources is a skill you can add to your wilderness survival guide. Finding water to drink is one of the most basic survival skills one must learn. Rain is the quickest access to a clean water source. Unfortunately, it’s also unpredictable. It’s the simplest and safest water source outdoors because it has the lowest risk of bacterial infection. 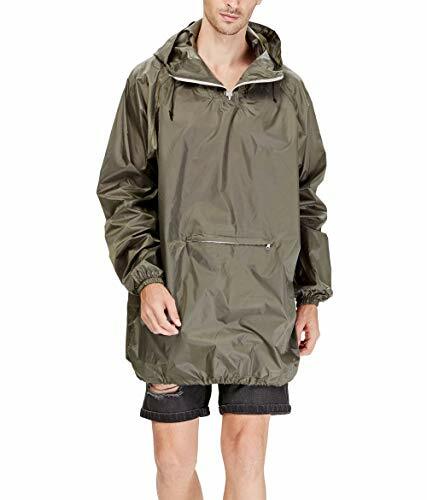 You can use bottles, cans, tarps and rain jackets to collect water. Boiling is always the best option for drinking any non-treated water source, but if you’re forced into a situation where it’s not an option, rainwater is the safest, untreated bet. Rivers, lakes, streams, or any other body of water will be one of the most obvious sources of water in the wild. Look for clear flowing water to ensure bacteria hasn’t built up. Follow game trails and look for flying birds in the early morning and early evening, as they will typically fly towards bodies of water. Lakes and streams are also a great spot to build a shelter outdoors. While these may be the most common sources of water, they’re also the most susceptible to contamination. Never drink from these sources without filtering, treating, or boiling it first. With the right survival kit, you’ll be able to do what’s necessary to make the water from these sources safer to drink. You can collect water from morning dew by tying a clean absorbent cloth or tufts of fine grass around your ankles and walk before sunrise through tall grass or meadows. Remember to avoid poisonous plants along the way. Avoid areas like farms or ranches which may be heavily treated with pesticides. Collect the water from the cloth by squeezing it into a container. You’ll have to do this quite often if you want to collect enough water to last throughout the day. These primitive skills are a great option for areas where there’s not much rainfall. Fruits, vegetables, and plants contain lots of water. For example, coconut is such an excellent source of hydration, which is considered a survival food and Mother Nature’s Gatorade. You can use this method of collecting food for water when you’re trying to survive in a tropical environment. It helps if you learn more about the edible plants and fruits around your area and know exactly how to prepare them for food consumption. Some plants, while full of water, can also cause massive intestinal issues. Transpiration happens when the moisture is carried from the plants’ roots to the underside of its leaves. Tying a plastic bag around a whole branch of leaves will trap water and let it fall into your collecting bag or canister. The trapped water vapor will then turn into moisture, thus giving you clean and crisp water. Again, be cautious and avoid collecting water from poisonous plants such as poison ivy, oak, or sumac. If you’re lucky, you may be able to spot some wild edibles nearby. Since there is moisture underground, digging your way to the water source is clever — but takes time. You can gather up to 5 liters of water per day using a still. Here’s another basic survival skill for collecting water. Dig a hole measuring 3ft by 2ft, then dig a smaller hole where your canister can fit easily. Place the plastic and keep it in place with some rocks. After that, place a small rock or weight in the middle of the plastic to create an inverted cone over the container to collect water. Tree forks or rock crevices in the woods might not be the most plentiful source of water, but they’re better than going without any water at all. The forks of tree limbs or rock crevices can collect a small amount of water due to their concave shape. Use clean clothing like a sock or bandana to soak the moisture or water in and wring it out. There are lots of wilderness survival skills to help you find a water source in the wild; you just have to know where to look. The ability to find water outdoors is an essential wilderness survival skills you need to master. After finding a water source, knowing how to purify the water you’ve collected is the second most important skill to have. Remember, you’re not the only one looking for water out there. Always boil or treat water when you get the chance! Never drink from an untrusted source — you never know what’s around the bend. 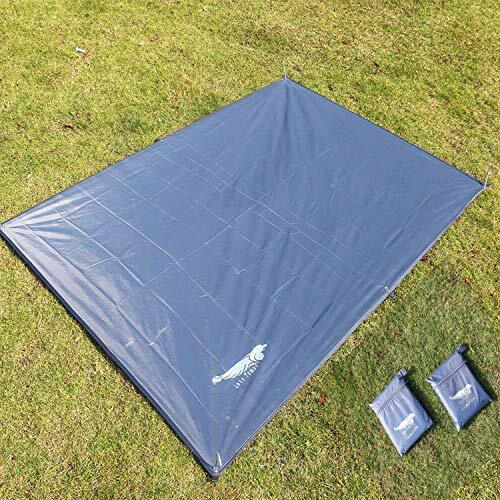 FOUR MYLAR EMERGENCY BLANKETS (Woodland Army Camouflage) - Advanced dual-sided aluminized mylar. 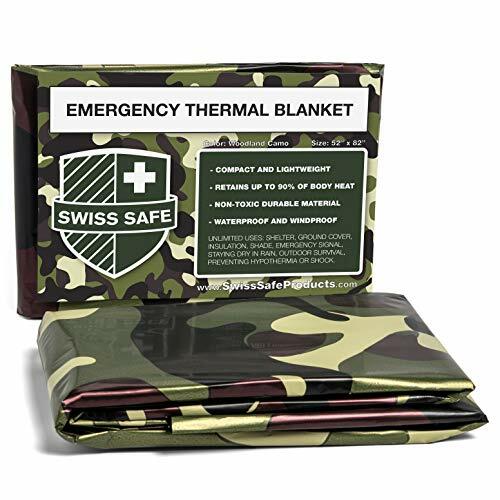 EMERGENCY SURVIVAL - Make emergency shelters or prevent hypothermia or shock in extreme weather. What’s the most important wilderness survival skill for you? Share your thoughts in the comments section below! Editor’s Note – This post was originally published on November 7, 2017, and has been updated for quality and relevancy. That “Share” bar on the side of the page is really annoying. It makes it hard to read the article. Hey ‘PPR Deluxe O’, I HEAR Ya. Bothered ME too. Seems like a “swipe” or something will ‘Hide’ it…make it disappear (to the LEFT of the screen). Shelter, water, food in this order. Weather will kill you quicker than dehydration, especially if below freezing. Well, I was going to clarify the concept, but the page keeps reloading and that “shares” thing shows back up again. ANNOYING AS HELL!! !